People who pause at the entrance can see to whom they owe this Albany park. 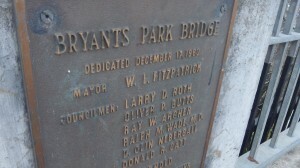 Did the bridge committee mean to omit the apostrophe? With time weighing heavy on my hands, I have been known occasionally to rile a few readers by proposing a revolution. What I had in mind was to overthrow the apostrophe. But now I’m not so sure. Agitation against the apostrophe is prompted by seeing it misused all the time, or omitted where it belongs. “No parking — cars will be towed at owners expense” is the one that comes most readily to mind. And then there’s “it’s” as the possessive form of it. Since these words sound the same with and without the little squiggle, how about we just throw it overboard and not think of it again? That was the general thinking. But then I noticed the sign on Albany’s Third Avenue Bridge to the park on the other side of the Calapooia River. Bryants Park, says the sign, put up 53 years cope back pain ago. When the park is mentioned in the “Remembering When” books by the late Robert Potts, it is usually spelled “Bryant’s Park.” So were the 1960 city fathers ignorant of the apostrophe’s role? Maybe not. The plaque at the park entrance, put up in 1919, clearly credits both Hubbard and Adda E. Bryant for the land donation that made the park possible. 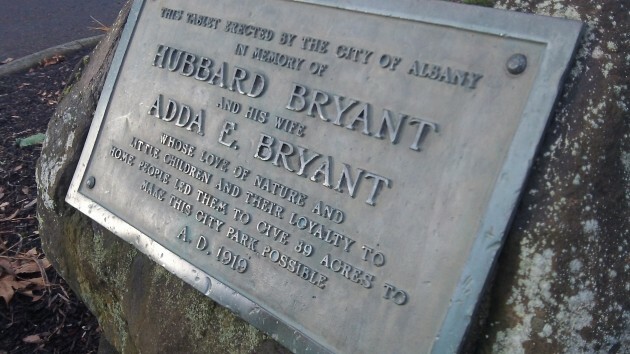 So maybe when it dedicated the bridge, the mayor and city council wanted to honor both Hubbard and Adda Bryant by using their name in the plural. But if that was their plan, they should have called it the “Bryants’ Park Bridge.” If they had, their intention would have been clear. While I believe they are necessary, I frequently have to check with an editor (my wife of 42 years), as I also will use them incorrectly at times. Now where is the that wonderful column by James J. Kilpatrick? It is an apostrophe catastrophe! Leaving off apostrophes is standard practice, maybe even policy, in geographic names. Thus Grants Pass, Marys River, etc. As a lifelong copy editor — sometimes by trade, other times by inclination only — I think I’m coming around to your revolutionary idea. Get rid of the darn things, they cause more trouble than they’re worth.